There was a gap in the flow of tourists that was just long enough for me to get this shot of a sign, with its nice wavy lines at the bottom, and the formerly ivy-clad wall behind it. 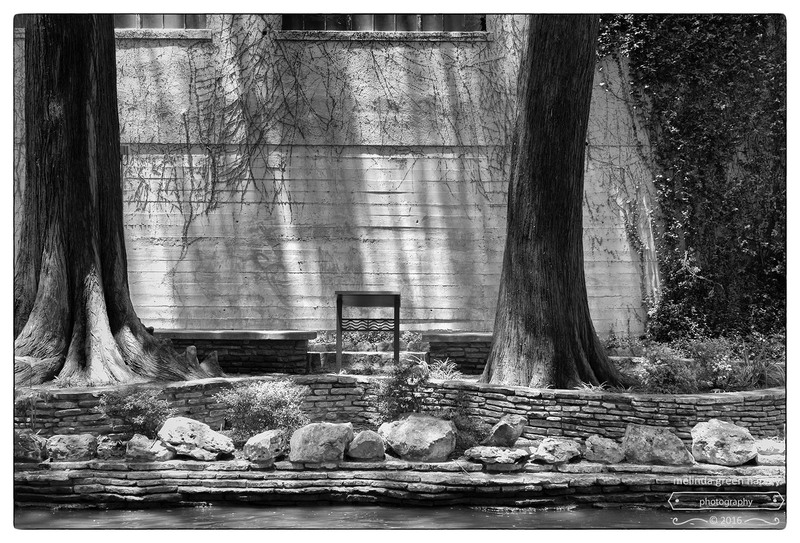 Posted on June 5, 2016, in Photography and tagged 365 photo project, black and white photography, Leica, melinda green harvey, monochrome, one day one image, photo a day, photography, postaday, River Walk, san antonio, san antonio texas, texas. Bookmark the permalink. 2 Comments.